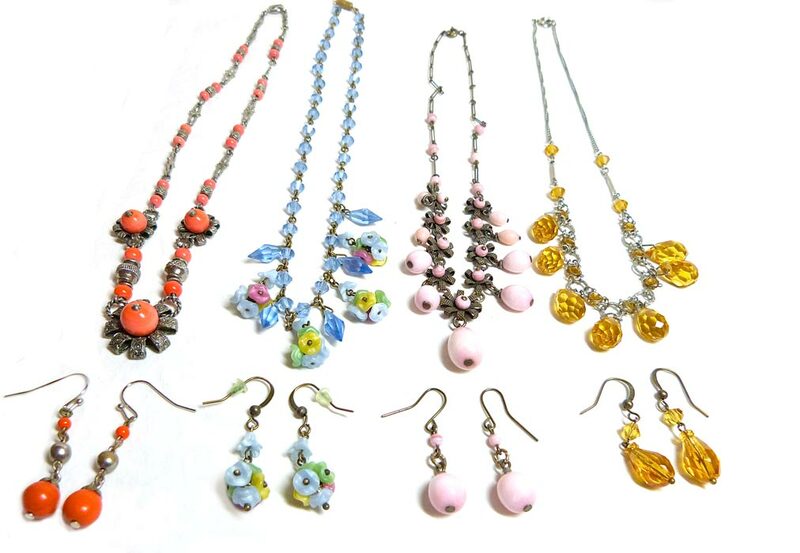 We have an extensive range of vintage beads and components and are happy to make bespoke earrings to compliment a treasured vintage necklace or to tone with a special outfit. We can also make a range of earrings in your chosen style but each with different coloured beads if you require multiple pairs but want them to be slightly different, for example, to create a selection of unique bridesmaid gifts. All earrings we make will be to our usual high standards: using beautiful antique and vintage beads and components, to make earrings that authentically match the style of and design of antique and vintage necklaces. See About Us for more information about how we produce our earrings. Please contact us with your requirements and we will be happy to help.